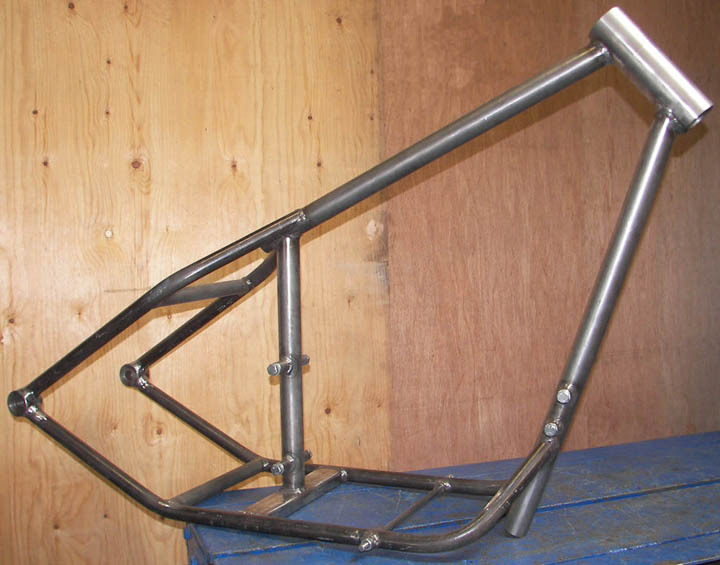 This is Grant's Yamaha XS650 Frame. 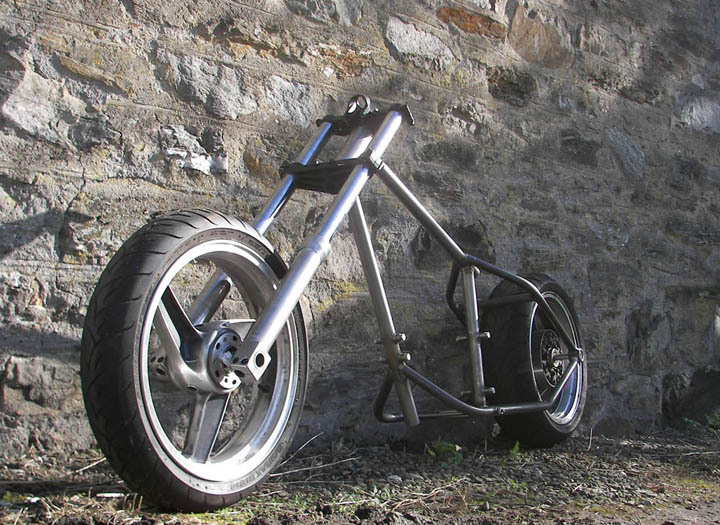 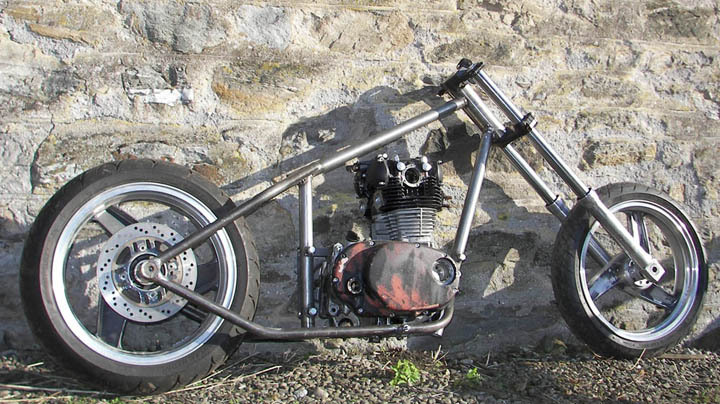 It uses Kawasaki ZZR1100 rear wheel and fork sliders with moto x fork legs. 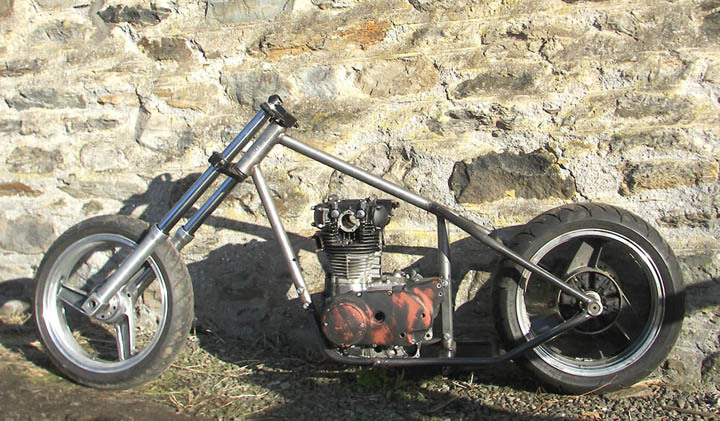 and wanted to do as much work to this XS 650 frame as possible. 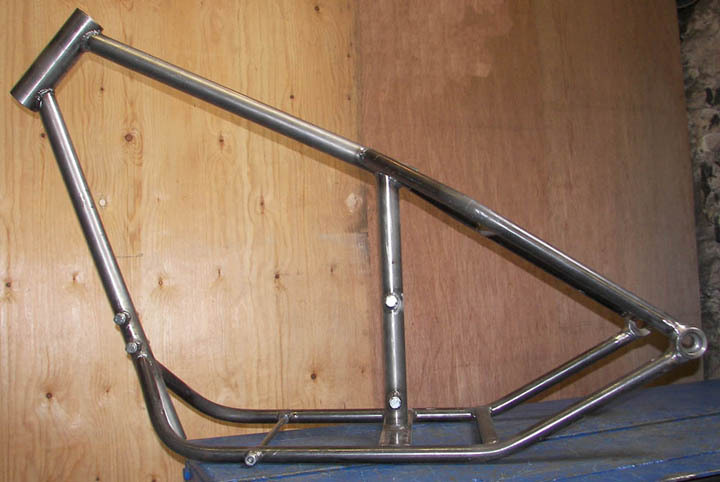 While I was making this Yam XS650 Frame I made a video of it, you can watch it on the video page HERE.